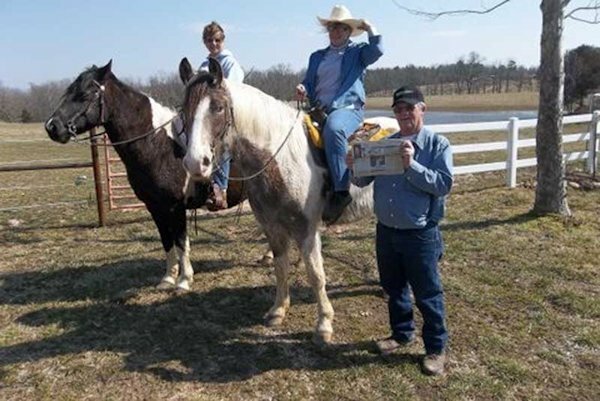 Bruce and Joyce Wolf took The Quill along as they traveled to visit Joyce's sister Sylvia (left) in Missouri. They celebrated Bruce's 70th birthday on March 9th and enjoyed the 70 degree weather. The sisters road horses while the men went to a sale and buying grass seed.